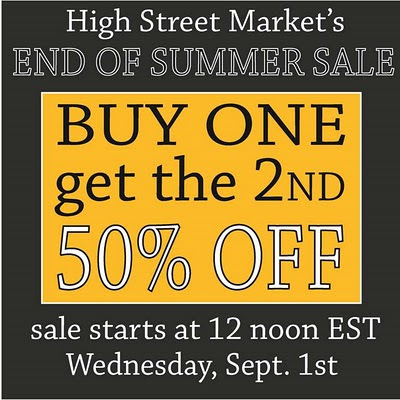 One of my favorite Etsy shops, High Street Market, is having a buy one get one half off sale that starts today at noon (and only lasts 24 hours). I would be a bad friend if I didn't tell you about it. The lobster (to perch atop some books), the yellow lamp (to sit on one side of your couch) and the turquoise pitcher (to use as a vase) are my favorites. 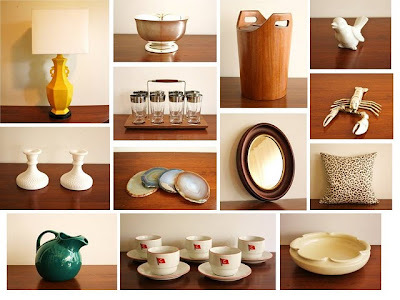 This shop never disappoints, so if you are in the Market (no pun intended) for some vintage touches for your home, go get your bogo on. Just heard of your blog today and I've spent the last TWO hours taking it ALL in! And it was SO worth it! Can't wait to tackle our basement's half bath after ignoring it for five years! Thanks for the inspiration!